Welcome to winter in Montreal. Montreal January weather represents the statistically coldest month of the year in these parts. The irony of this month? You'll curse beautiful days once you realize what they mean in January. A gorgeous, sunny day in January nearly guarantees it's bone-chilling cold outside whereas a gray, cloudy day tends to announce a "warmer" outdoor experience likely complemented by snowfall given the, well, clouds. And if you don't know what wind chill means yet, you'll soon find out. Precipitation**: oddly enough, January in Montreal may include up to 6 days with rain (expect freezing rain). But snow is more likely on the agenda, with an average of 14 days of light snowfall and up to 4 days of heavier snowfall, on average. And: Is Winter in Montreal THAT Bad? A hearty down jacket and specialized high-end vegan alternative coats for extreme cold weather are the best way to ensure comfort in the cold as are thick gloves, a scarf and tuque, ear muffs, hat or hood. On very cold days, make sure to cover the head, ears and hands as they easily lose heat. Also, insulated boots, preferably water resistant or even better, waterproof, are highly recommended. While true that Montreal residents don't get out as much in January as they do in, say, July, not every local loathes the cold. Avid skiers and snowboarders head out to Quebec's myriad ski resorts as soon as the season permits. And legion are those who love winter. 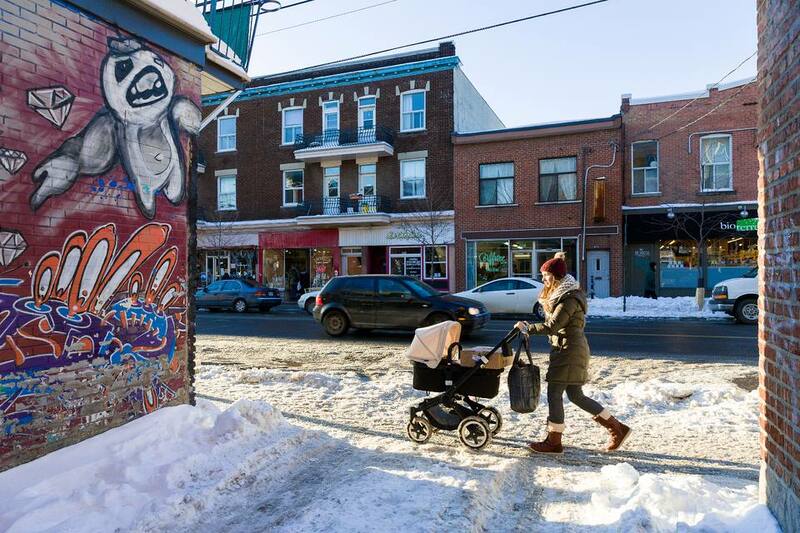 Montreal features an array of outdoor winter sports and activities. Cold spells also inspire cocooning behavior and the craving of creature comforts, like warm winter drinks, the rich decadence of a perfectly executed poutine or heavy brunch. *Source: Environment Canada. Average temperatures, extremes and precipitation data retrieved September 14, 2010. All information is subject to quality assurance checks by Environment Canada and may change without notice. Note that all weather statistics as presented above are averages compiled from weather data collected over a 30-year period. **Note that light showers, rain and/or snow may overlap on the same day. For example, if Month X features an average of 10 days of light showers, 10 days of heavier rain and 10 days of snowfall, that does not mean that 30 days of Month X are typically characterized by precipitation. It could mean that, on average, 10 days of Month X may feature light showers, rain and snow within a 24-hour period.